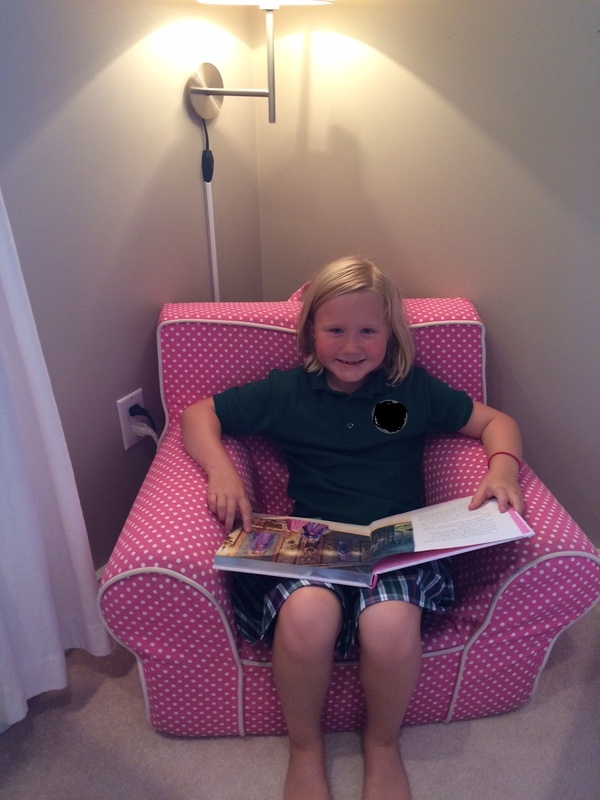 When we were dreaming of what we wanted in a new house, one of the things on my long list was enough space to make a reading nook for each kiddo. A little spot that they could snuggle up and enjoy their books. In the long list of projects for this house, I had kind of forgotten about it. 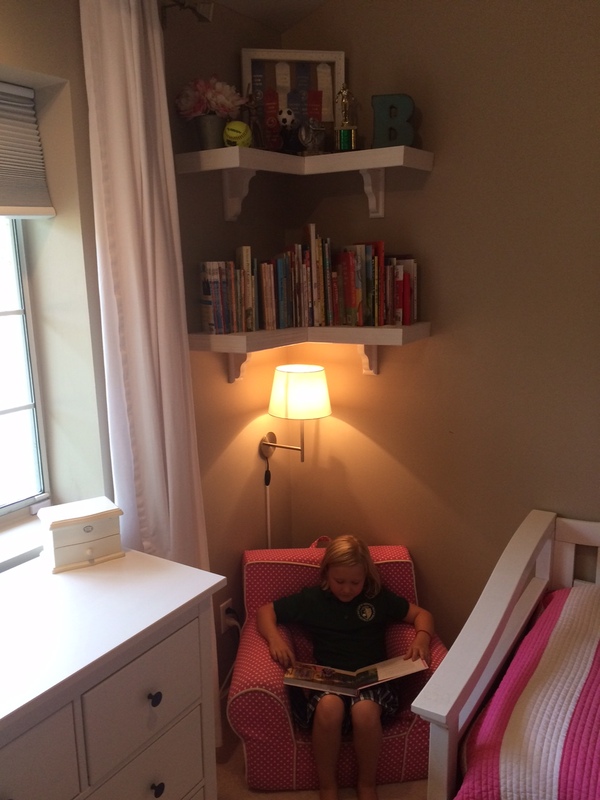 In our ongoing effort of adding to and then checking off a house to do list, Peter built and put up amazing book shelves in the kids’ room. And then I remembered – book nook! A few Ikea lamps later and relocating the PB Kids chairs and voila! The best part? B LOVED it. She said over and over as I was hanging their lights “this is so cool. I just love this space!!”. Music to a momma’s ears. A few days later, our house was unusually quiet. I frantically searched for the animals as nothing good is happening when it’s quiet- only to find them snuggled up in Baylor’s chair. She was “reading” (she’s memorized a few of his board books) and he was happily hung on every word.